British Airways operates direct flights from the UK to Baltimore. Prices tend to be higher in July and August. You may find a cheaper flight by connecting via another US city such as New York or Detroit. From London - 8 hours 20 minutes; New York - 1 hour 30 minutes; Los Angeles - 5 hours; Toronto - 1 hour 40 minutes; Sydney - 20 hours 30 minutes. Driving is on the right. The general maximum speed limit is 90kph (55mph), occasionally rising to 105kph (65mph); laws passed in 2015 allow the state to raise the limit to 113kph (70mph) in some cases. Speed limits in residential areas can be as slow as 30kph (20mph), with specifically posted limits near schools. Seat belts are obligatory for front-seat passengers. Prosecution for drink-driving is severe. The legal driving age in Maryland is 16 years. A national driving licence is valid, although a temporary International Driving Permit is a good idea if your licence isn't in English. Third-party insurance is mandatory. Many petrol stations situated on main roads are open 24 hours a day and most operate a pre-pay system at the pumps using a credit card (though some insist on an American zip code). AAA (tel: +1 800 763 9900; www.aaamidatlantic.com) provides emergency service and information in addition to reciprocal benefits to members of automobile clubs in other countries. AAA (tel: +1 800 222 4357/AAA HELP). All the major routes approaching Baltimore meet the I-695, called the Baltimore Beltway, which circles the city. The Jones Falls Expressway (the I-83) winds into the central Inner Harbor district from the north. The I-395 comes in from the southeast, with good access to downtown Baltimore and the Port. The Baltimore National Pike road (US Route 40) approaches from the west, from Frederick. The I-95 comes from Philadelphia and New York in the northwest and continues southwest towards Washington, DC, running parallel to the Baltimore-Washington Parkway. The I-97 leads in from the south, linking Baltimore to Annapolis. The I-895, the Baltimore Harbor Tunnel Thruway, bypasses Downtown. Tolls operate at the Baltimore Harbor Tunnel (I-895), at the Fort McHenry Tunnel (I-95) and both north- and southbound at the Francis Scott Key Bridge (part of the Baltimore Beltway). There are also tolls northbound on the John F Kennedy Memorial Highway (part of I-95). Greyhound (tel: +1 800 231 2222; www.greyhound.com) operates frequent coach services, connecting Baltimore with major US and Canadian cities. The main bus station is at 2100 Haines Street. From Washington, DC - 1 hour; New York City - 3 hours 30 minutes; Philadelphia - 2 hours. Penn Station, 1515 North Charles Street, is located about 3.2km (2 miles) from the inner harbour. It is served well by the MARC and Amtrak. 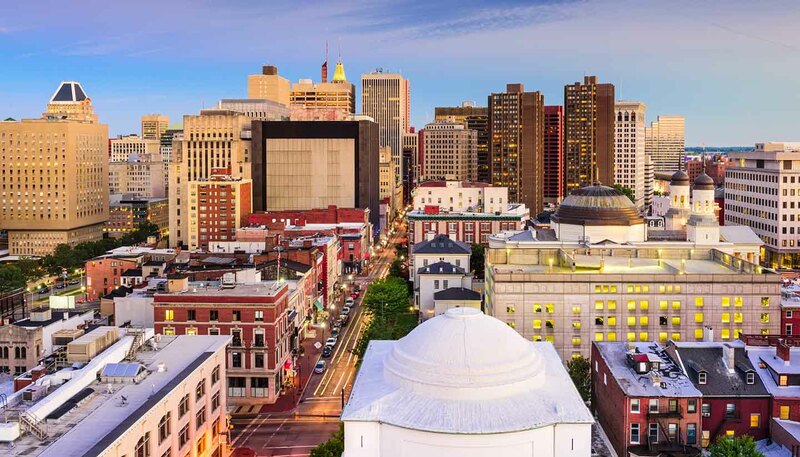 Baltimore is situated along the northeastern Amtrak corridor from Washington, DC to Boston via Philadelphia and New York. Amtrak (tel: +1 800 872 7245; www.amtrak.com) operates intercity rail services to Baltimore, with connections to a host of major US cities. MARC (tel: +1 866 743 3682, http://mta.maryland.gov) is a commuter rail system whose service areas include Harford County, Maryland; Baltimore City; Washington, DC; Brunswick, Maryland; Frederick, Maryland and Martinsburg, West Virginia. MARC train services operate Monday to Friday only, apart from the Penn Line, which has a weekend service too. From Washington, DC - 35 minutes; New York - 2 hours 15 minutes; Boston - 6 hours 5 minutes; Orlando - 18 hours 30 minutes; Miami - 24 hours; New Orleans - 27 hours; Raleigh -7 hours. Change in Washington, DC for local trains to West Virginia.